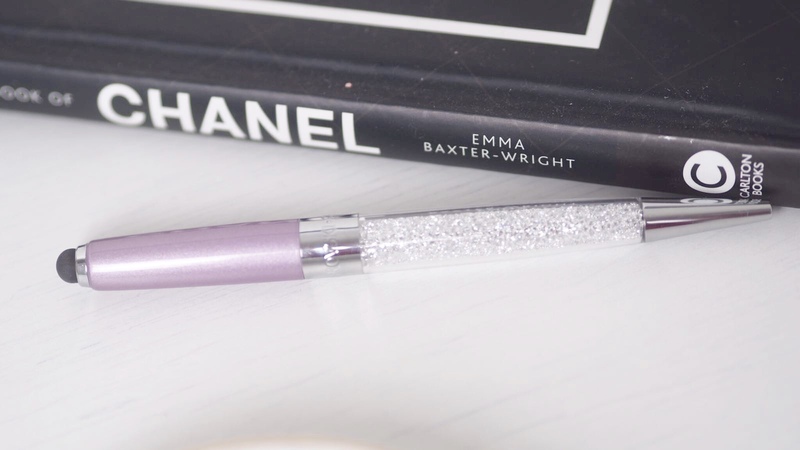 I was recently sent over this gorgeous Swarovski Crystalline Pen available from T.H. Baker, this pen features a glittery design at one end and then a block colour at the other, in my case I received the lilac colour but there are a range of different colours available. One thing I love about this pen is that it doubles up as stylus, the end of the pen can be used on any electrical devices, I've been using mine quite a lot on my phone recently and I've been really enjoying using it! I think this makes a great gift, maybe for someone for starting university or as a graduation present. This also comes nicely packaged so it looks like a lovely gift and one I would personally love to receive. This is priced at £35 which is pretty reasonable if you ask me! You can find the range here. 10 comments on "Swarovski Crystalline Pen"
Oh wow, that's so pretty and dainty! The stylus is such a good touch, absolutely love how this pen looks!